Looks like OK-ASA has just arrived back after maintenance. 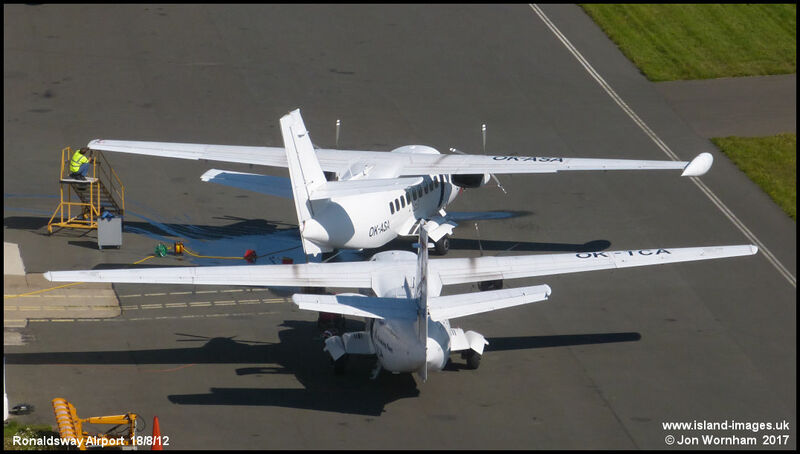 Painted in plain white outside the Manx2 hanger having tip tanks removed. OK-TCA keeping it company in August 2012.